At TermLife2Go, we know life insurance. We make it our #1 priority to stay on top of all the latest trends and companies in the marketplace. In our research, we found Great Western Insurance Company (GWIC). The company offers specific niche policies that may be just what you need. For more, please continue to read our Great Western Insurance Company review. History – Forming in 1983, Great Western Insurance Company is a company that originally came from Utah. From the very early days, the focus was on creating policies so that members of the community could fund pre-arranged funerals and this has stayed in tact ever since. Available across 46 states and the District of Columbia, the company is actually seen as one of the best ‘pre-need’ insurance companies in the country. Today, we’re going to see the products the company has been providing to pre-need sales organizations as well as funeral home owners. Overall, there are two main solutions available; pre-need and final expense. If these solutions don’t apply to your situation and you’re looking for a permanent life insurance policy, feel free to click to one of our other reviews. If this could apply and you think you could benefit from one of these policies, keep reading! Finances – Unfortunately, despite the increase in the amount of companies posting their financial statements online these days, Great Western Insurance Company hasn’t provided this information on their website or anywhere else. Therefore, the only way we can assess their financial position is going to be through the official ratings. Although some might view this as a problem, the ratings we can see from A.M. Best should give us an overall picture of their finances even if we can’t see them in detail! 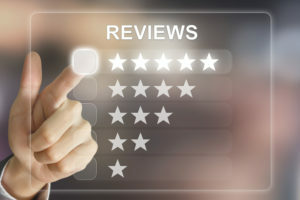 A.M. Best Company – If you’ve read one of our reviews before, you’ll know the majority of people request for this rating to be in the ‘A’ category and this covers the best four ratings in the system from A++ down to A-. With Great Western Insurance Company, we actually have one of the ratings that leaves us in limbo because they’ve achieved an A.M. Best rating of B++. Although not in the ‘A’ range, it is the closest you’ll ever find. When looking for an insurance company, normally you can be reassured by their financial information but, seeing as though we can’t access this, we’re going to proceed with caution. If you really don’t feel like taking a risk, there’s nothing wrong with choosing another of the many different insurance companies in the US but let’s continue on and see what else we can find. In fact, before we can move on, we should note another rating from A.M. Best and this comes in the form of the Long-Term Issuer Credit Rating. Thanks to an upgrade in August 2017, this rating is actually moving upwards which is some great news. Currently, it sits in the BBB+ category and suggests the company is in a stronger position to meet all financial liabilities and obligations in the long-term. Therefore, this might provide you with a little more confidence. As we saw previously, there are two main products on offer with Great Western Insurance Company and they’re both centered around pre-planning a funeral. With Great Western Insurance Company, this first product has been designed to allow individuals to tell their own story and plan their funeral in advance. With the tagline ‘it’s your story to tell’, this follows the same line of thinking and it allows you to plan your funeral both in terms of finances as well as the logistical side with songs, venue, etc. As you head towards retirement or the end of life, there are a lot of decisions to be made and this product urges policyholders to get everything in order before they pass away. Every year, millions of families are left unable to grieve properly because they’re so busy arranging the funeral or desperately searching for money. Therefore, Great Western Insurance Company wants to help you plan everything in advance so the responsibility, stress, and pressure doesn’t come down to one of your relatives. If you’re looking for a simple final expense insurance policy just as we see with many other providers, this will be your opportunity and this product is a large focus for Great Western Insurance Company. Once again, the policy is designed for the final expenses in life so your loved ones have a pool of money to pay for the funeral and any other costs that arise. Did you know that the average funeral costs between $8,000 and $12,000? For this reason, this final expense policy allows you to leave money behind for loved ones so they don’t have to worry about raising the funds, taking a loan, and potentially crippling themselves financially for a few years. After death, the funeral is the main concern and this is steadily getting more expensive. However, you also need to consider the other final expenses and this includes household expenses, mortgage payments, medical bills, court fees, credit card debt, car loan, and many others. Of course, your own situation won’t require all of these but some will certainly apply. When you choose the final expense option with Great Western Insurance Company, the application process is simple and you can receive coverage regardless of your health. As long as you keep paying the premiums, your policy cannot be cancelled and it remains in place until you pass away; at which point the death benefit goes to your beneficiary. Within the policy, you’ll have a Spousal Bonus Rider and this provides support to your partner in the time where they need it the most. What’s more, you can also choose to add an Accelerated Death Benefit for absolutely no charge at all. Although this isn’t built into the policy like the previous option, you won’t have to pay a cent after requesting it for your own coverage. Sticking with the theme of riders, you can also choose to add a Grandchild Rider and even a Dependent Child Rider. Over time, whole life insurance builds cash value tax deferred and this money can be used as security on a loan if this becomes necessary as you get older. If you aren’t sure whether this is the policy you need and you want to take it for a ‘test drive’ for 30 days, this is actually possible with the ‘free-look-period’. If you’re unsatisfied for any reason and you change your mind, you can cancel the policy within 30 days and there’ll be no evidence you ever had a policy in place. Within the final expense insurance category, Great Western Insurance Company actually has two policies and you can choose which one best suits your needs! With this first guaranteed issue life insurance option, there’s no underwriting whatsoever so you don’t have to worry about a medical examination or even simple health questions. If you’re to die through an accident within the first two years of the policy, your beneficiary will receive the full face amount. If you die due to natural causes in the first 2 policy years, all the premiums paid will be returned along with a 10% bonus to your beneficiary. Once these two years have passed, the full lump sum death benefit amount will go to your chosen beneficiary regardless of the cause of death. With this second simplified issue life insurance option, you will have to answer some simple health questions but this helps to keep the premiums a little lower and the rest of the application is simplified. Once you’ve answered these questions, your coverage will be decided. If you can’t quite get the level of coverage you require, you can always go for the Guaranteed Assurance product if you’re willing to pay a little more. As mentioned previously, there are two main riders available; one is built-in whereas the other requires no charge but you need to request it for it to be installed. Spousal Bonus Rider – Known as a first-to-die rider, this means $1,000 extra will be available after one of the spouses dies (assuming they both have a policy). To qualify, the face amount of each policy must be over $10,000 and it will not activate if the first death takes place during the graded period of the plan. Furthermore, both the policies must be in-force for the rider to work. Accelerated Death Benefit Rider – only available on the Assurance Plus, it allows an advance on the face amount if you’ve been given less than one year to live. Alternatively, the rider will also activate if you need assistance with at least two of the Activities of Daily Living. Once you receive the money, this can be used for absolutely anything you desire. Dependent Child and Grandchild Rider – Although the previous two are the main options, you can pay extra for Dependent Child and Grandchild riders and these will pay $2,500 if one of your children or grandchildren were to die. However, be aware that there are superior life insurance for children policies available.